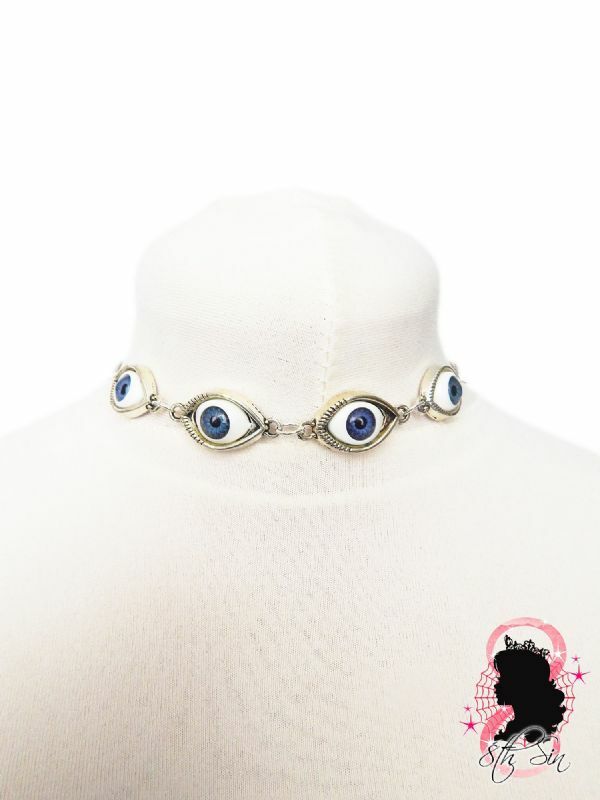 This is an antique silver choker necklace featuring evil eye cameos available in different iris colours. 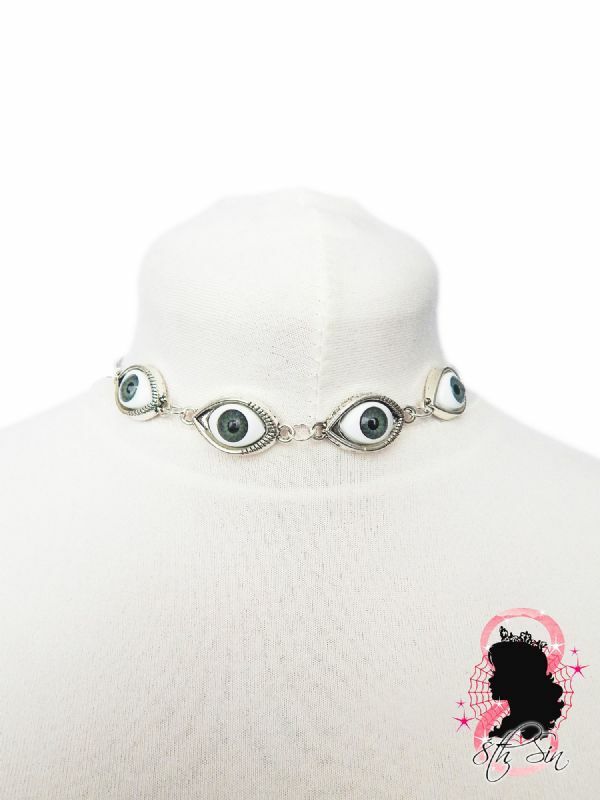 Made with resin eyeball cameos and silver plated findings and fastens with a silver plated lobster clasp. 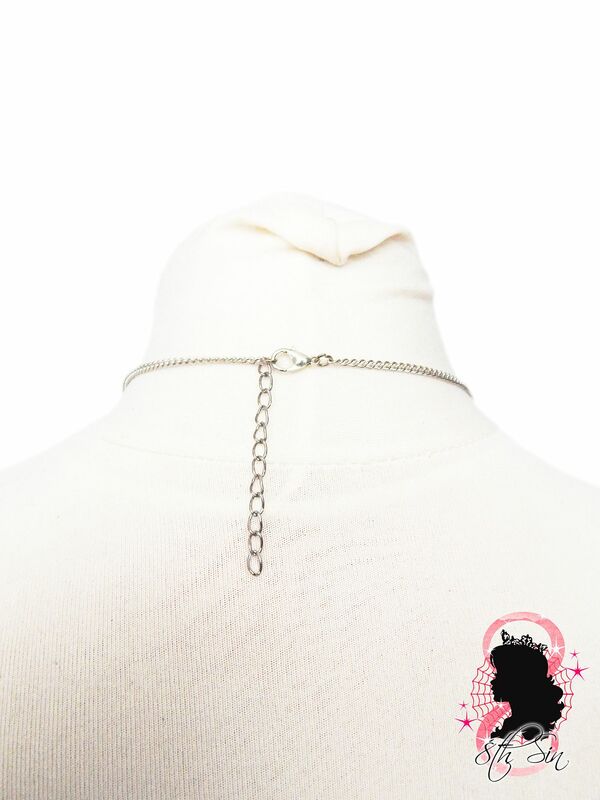 The standard choker length is 13"-15" including a 2" extender chain but can be made to any length. Simply put your neck measurement in the "Note to seller" part of checkout to have the bracelet be made to a custom length.